Welcome to the energy source of the future. 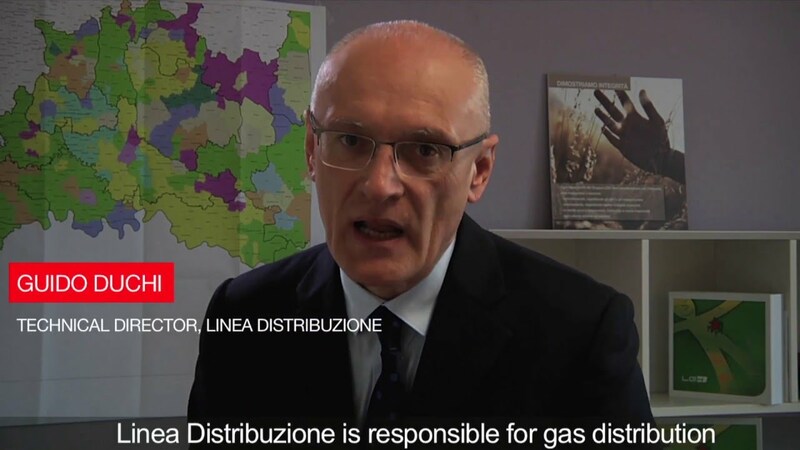 Linea Distribuzione supplies gas to 260,000 users across northern Italy. After conducting a trial run of our technology, they found that with Itron’s end-to-end solution—which includes smart meters, a fixed network and managed services—operational costs were significantly reduced. With only eight technicians in the field, Linea Distribuzione can worry less about its technology and focus more on business logistics and field operations. Itron and SOCAR deliver the world’s largest gas pre-payment system. The State Oil Company of the Azerbaijan Republic (SOCAR) had a problem with high fraud, bad debt collections, technical losses and obsolete meters. Itron had a solution—actually, a million of them. Since installing Itron’s gas prepayment system, which includes more than one million smart gas communication modules, SOCAR has seen improved revenue collection, better recovery of old debt and an improved level of customer service. This is the largest offline gas pre-payment system in the world. Learn how Southern Connecticut Gas combined Itron AMI technology and services to create value well beyond traditional meter reading. Southern Connecticut Gas (SCG) needed to improve operational efficiency. Itron provided the Itron Gas AMI solution. This advanced metering infrastructure equipped SCG with a comprehensive system that eliminated day-to-day meter management and provided actionable data to deliver value far beyond traditional meter reading. Itron delivers gas solutions for a changing world—ones that can complement the electricity grid and deliver sustainable, cost-effective outcomes. Learn how EnviroFuel is leveraging Itron technology in South Africa. A looming energy shortage has the potential to stifle economic growth in South Africa. To prevent this and promote growth in Waterfall City, EnviroFuel, a utility in South Africa, sought an alternative energy source to meet their needs. By using liquefied petroleum gas (LPG) for 70% of household energy, EnviroFuel realized that it could free up over 300 MVA of electricity, greatly reduce the overall carbon footprint of Waterfall City and help customers save money on energy bills. Itron deployed a versatile, cost-effective and safe prepayment solution—which includes 2,000 smart meters and full-featured online payment system that allows anyone with a smartphone to pay for natural gas as they need it—as part of EnviroFuel's green consciousness and sustainability strategy. As a result of this partnership, Itron became the first company to provide prepaid metering solutions to the largest user of LPG piped gas in South Africa. Natural gas as an energy resource has its advantages—it's clean, safe, efficient and readily available in many markets around the world. Gas is also storable. As more and more renewable energy sources are integrated into the mix, capturing the energy produced by solar panels or wind farms and making it available when it's needed is critical. Power to gas (P2G) is new technology that converts electrical power into gas fuel, helping to manage excess or off-peak electricity so that power generated by wind or solar arrays can be used later to balance the load on the grid or meet increased demand. Advanced, insightful data collection and utilization to make your operations more efficient and reliable. With Itron’s AMI solutions, you can propel your operations to the next level and deliver the service—and value—your customers demand. Itron Fixed Network Solution — Featuring two-way communications down to the meter, Itron’s AMI network solutions collect, deliver, manage and analyze more granular and timely data, giving you more insight than ever before. Itron Smart Pay Solution — If you’re using an AMI system with two-way smart meters equipped with remote switches, you have everything you need to start a smart payment program. Itron Total Outcomes — Itron's leading capabilities in metering, communications, data management, analysis and managed services, together in a simplified, subscription-based pricing structure. Simplified collection of data from meters using RF and drive- or walk-by technology. From smart residential meters to complex C&I applications, Itron has metering solutions for your needs. Pressure-reducing regulators designed for safety, accuracy and dependable use. Generate cash flow for utilities, eliminate debt, reduce fraud and reduce the costs of meter reading and billing. Itron Smart Pay Solution provides customer enrollment, payment methods, billing system synchronization, low balance and disconnect alerts and helps you protect and enhance revenue, improve customer service and better manage your resources. Whether on premise or managed by us, Itron has the right mix of technology, services and experience to deliver outstanding results. View all of Itron's solutions, products and services for gas providers.